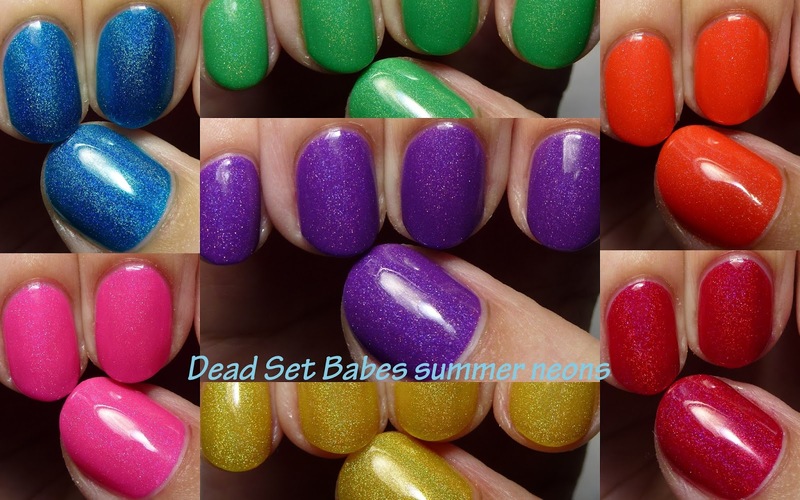 The Polished Hippy: Dead Set Babes neon holos! 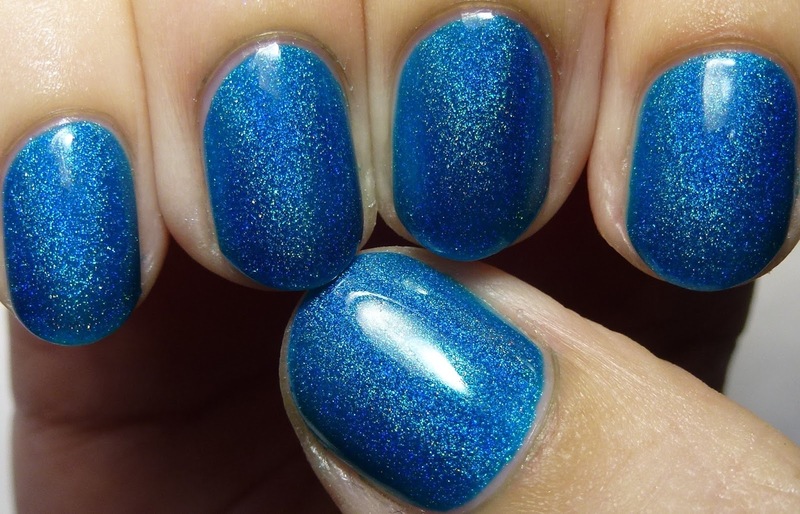 DJ J.E.M is a jelly finish linear holo. Fantastic formula! Linear holographic shimmer in a vibrant green-tinged blue jelly base. Four coats. J-Bomb is a creme-based green holo. It is a more subtle holo, but again, great formula. Bella told me that the new release will be slightly different than this version. Linear holographic shimmer in a kelly green base. Four coats. 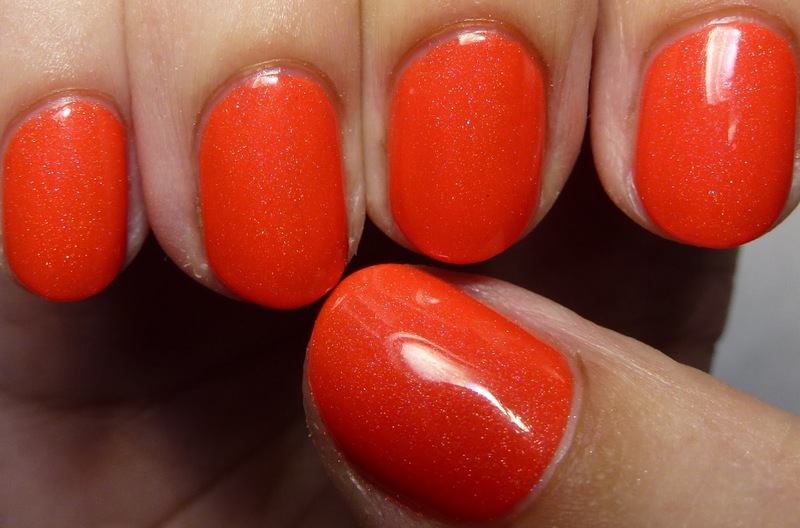 Mamacita is a knock-your-socks-off orange with subtle holo. Wow do I love this. This pigment is no longer available so the new version will be a little different. Subtle linear holographic shimmer in a safety cone orange base. Four coats. Marls also has a bright creme bright base and will be a bit different in the new version. 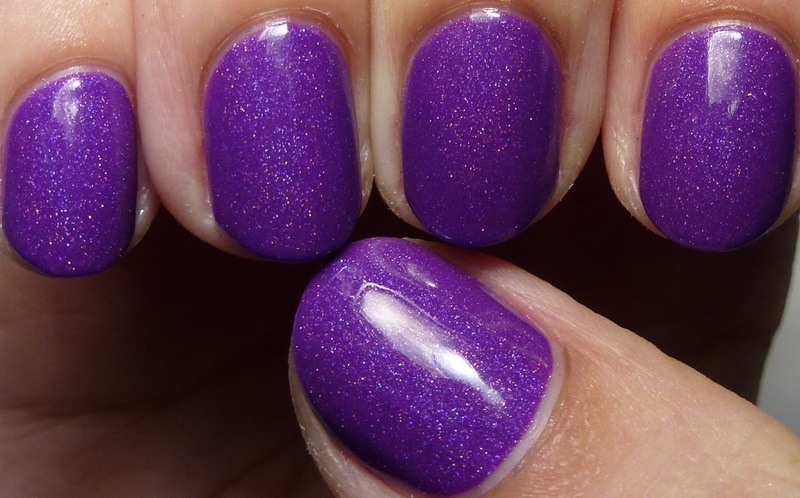 Subtle linear holographic shimmer in a royal purple base. Four coats. 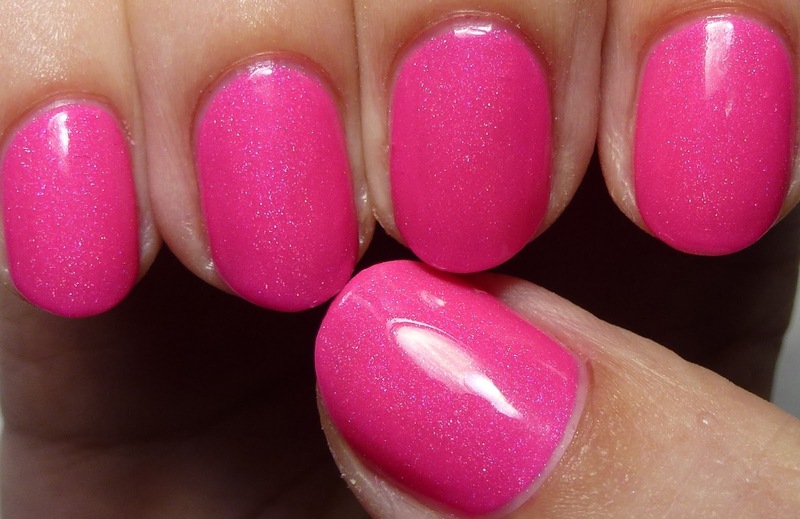 Six Inch Heel is a stunning pink neon creme holo with great formula. Love this one, it is also a really popular picture on my Dead Set Babes Flickr album! 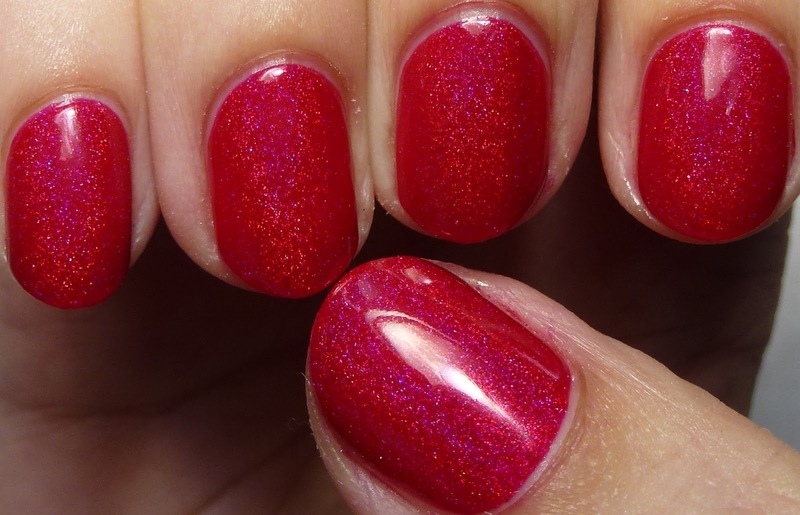 Subtle linear holographic shimmer in a hot pink base. Four coats. Stephanya Bananya is a yellow jelly holo. This one is great - it doesn't lean green and is pretty wearable as yellows go. Linear holographic shimmer in a sheer highlighter yellow jelly base. Four coats. Twitta, Please is a red jelly holo. One of the ones I like best in this group, it is a stunner. Linear holographic shimmer in a crimson jelly base. Four coats.